In this cross-sectional study, we evaluated 1052 OSA adults. Positional OSA was defined as an overall apnea-hypopnea index (AHI) ≥5 and supine AHI to non-supine AHI ratio of ≥2. Positional OSA was subtyped depending on the degree of AHI while in the non-supine position: subtype I (a non-supine AHI <5/h), subtype II (a non-supine AHI ≥5/h and <15/h), and subtype III (a non-supine AHI ≥15/h). To compare clinical characteristics between patient groups depending on the positional tendency of OSA, statistical analyses were performed. The prevalence of positional OSA was 75.6 % with 39.9 % having AHI normalized <5/h while in non-supine position. Positional OSA patients had milder OSA, older age, and lower BMI than did non-positional OSA patients. 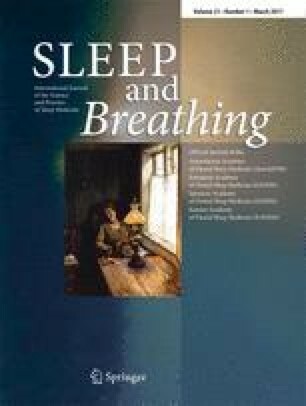 However, having positional OSA did not influence daytime sleepiness, depressive symptoms, anxiety, and health-related quality of life. Unlike the subtype I and II positional OSAs, subtype III did not differ in clinical features from non-positional OSA. There were significant differences in supine sleep time depending on the positional tendency of OSA. Subtype III positional OSA had the shortest supine sleep time whereas subtype I positional OSA and non-positional OSA had the longest supine sleep time.